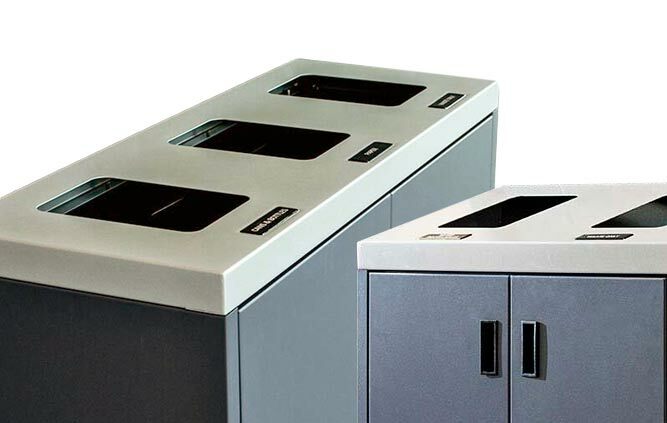 The Evolve Recycling Stations and Receptacles offer a unique style for multi-functional waste and recycling collection at an economical price. 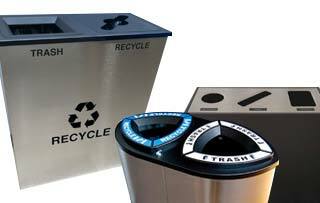 Each Evolve receptacle can be utilized as stand-alone receptacles or gathered together as a central recycling station. These receptacles feature a thermoformed ABS lid with a brushed pewter film, giving it a stylish touch for any interior space.